Villas, near village, private pool, sleep over 20. Click here for PHOTO GALLERY/DESCRIPTION. Ask us here for a quotation based on your own party size. VILLA RAVANO, near San Giuliano Terme . Walk to town. 500m walk from bus station, 1.5km walk from railway station. 10km from Pisa airport. Sleeps 20 – 35 people in 15 bedrooms. Private swimming pool. Games room with billiards and table football. Piano. Bicycles. Table tennis. Tennis court. Football pitch. Wifi. Garden / lawns. 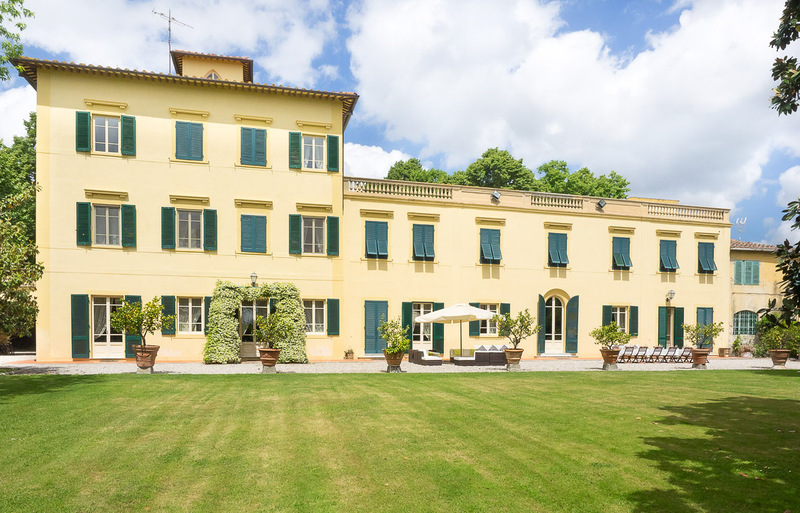 Villa Ravano rental price from around Euro 6080 per week – Prices on request. 3 independent villas, 3 private pools, just a few meters from each other! Same owner. Just a 10 minutes walk to the town square at Greve in Chianti. 11 bedrooms. Casa Monica can be rented together with Casa Torretta and Casa Fabrizio (only a few meters away) to accommodate a total of 22 people. Rental prices from Euro 3520 per week. 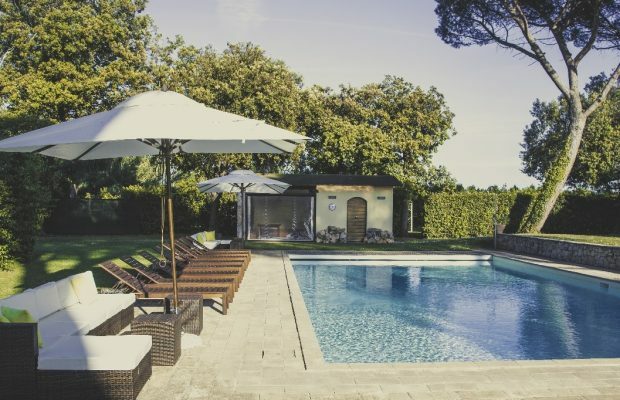 Trasimeno, just 150m from the shores of Lake Trasimeno, Umbria. In the village of Torricella with bars and restaurants. 7 apartments sleeping a total of 23 people. 7 bedrooms, 7 bathrooms. Swimming pool. Le Donne di Bargecchia. Just a 500m walk to village of Bargecchia with all kind of shops, restaurant, pizzeria and bus stop for Viareggio on the Tuscan coast. Breathtaking views. Olive trees, bordered by a river, the sea and the lake. Sleeps 29 in 9 bedrooms, 7 bathrooms. 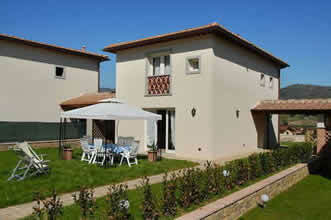 Property is divided into a villa and 4 annexes (one of which is lived in by the housekeeper). Swimming pool. Flavia, a hamlet midway between Pisa and Lucca (both 8km away). 6 apartments with shared pool. Sleeps 30 in 12 bedrooms, 12 bathrooms. Each apartment with internet access. Swimming pool. Versilia beaches 35km. Food shop and bus stop just 100m away. Highly recommended. Fattoria I Ciliegi, near Rufina, Tuscany. 9 apartments with swimmingpool, large BBQ area and terrace. Sleeps 43 in 18 bedrooms. On-site “tavern” and bar open on selected days. Large barbecue with dining area. Wi-fi internet available on large terrace. Just 1 km away from Acone with a small supermarket, grocery/pizzeria and bar (open in summer). La Valle. 7 apartments with swimming pool and tennis court. Sleeps 46 in 16 bedrooms, 12 bathrooms. Just 1 km from the small town of Montaione with all kinds of shops etc. 45km from Florence.